Start any home improvement projects. Small cosmetic projects like painting are not usually a problem. Anything that can disrupt functionality can be an issue if undertaken before the appraisal. Delay projects that require a building permit, involve a bathroom or kitchen renovation, or create structural changes. Did you know that if you can afford to rent, you can probably afford to own? Income – If you have a job or steady source of income, you’re off to a great start. Down Payment – Many programs will work with 5%, 3.5%, and in some cases, even 0% down. Sometimes, closing costs can be paid for you as well. Credit – Even if there are a couple of dings on your credit report, there’s probably a loan program for you. That’s it. These three items are the fundamentals of mortgage lending. If you work and pay your bills on time, you may already be well on your way to homeownership. Now, would you like to see how far your rent payment might go when applied to principal and interest on a mortgage payment? Check it out here! 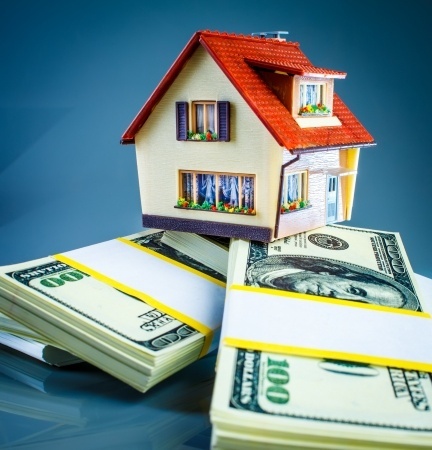 Refinancing can be a great strategy to save money or reach other financial goals. It is equally important to make sure your home provides a “safe haven” for you and your family for many years to come. With that in mind, here are some useful tips on fire prevention. • Install smoke detectors on every level, especially outside bedrooms. Test them regularly and change the batteries at least once a year. • Have an escape plan. Everyone should be aware of two ways to exit each room to avoid walking through smoke. If that’s your only option, crawl close to the floor, where the air is cooler and cleaner. • Establish an outside meeting place where everyone will go if evacuation is necessary. • Make sure your home address is clearly visible from the street, so emergency vehicles can locate you quickly. • Create a 30-foot safety zone around your house that’s free of flammable vegetation. • Keep fire extinguishers in the kitchen and garage, and be sure everyone knows how to use them. • Clear the roof and gutters of leaves, needles and dried twigs. I hope you find these tips useful and pass them along to your friends and family. And, if you know anyone in need of a mortgage advisor, feel free to relay my contact information. I’m here to help! On a scale of 300-850, people with top tier credit scores (760 to 850) have a footprint of financial responsibility, and lenders have a tendency to reward this elite group with lower interest rates. If you’re not in this category, then take a look at your current scores and see what you can do to kick it up a notch. Set your personal goal and stick to it! Paying your bills on time is a good habit to have, when it comes to improving your credit scores! If you need help in this area, set up a spreadsheet or even a handwritten monthly checklist, so you can see all your current bills and their due dates. You can also set reminders in your calendar or cell phone, or make arrangements for automatic payments, to stay on top of it. Do whatever it takes to program yourself into a regular pattern of paying bills on time. Your credit card payments are generally due on the same day each month. So, if your current due date puts you in a money crunch, call your credit card company and ask them to change your due date, so it doesn’t coincide with other large payments you have to make (such as your rent or car payment). That way, you can regulate your cash flow and avoid relying on credit cards for random spending in between paychecks! If you only pay the minimum payment on your credit cards, then you’re paying just a little more than the monthly interest fees. Set a realistic goal for yourself. If you can pay double or triple the monthly payment for the next six months, then you’re starting to chip away at that larger balance. But, at the same time, don’t revert back to using the credit cards again to make it through your monthly living expenses. • Make sure your balance is below 50% of the spending limit to maintain your current credit scores. • Reduce your utilization down to 30% of the total credit line to improve your credit scores. • To get in the “800 Club”, use no more than 10% of the allowed spending limit. When an emergency pops up that absolutely requires you to use a credit card, make an educated decision as to which credit card you should use. Pick the one that won’t vault you over that 50% utilization mark. Having credit cards helps you establish credit scores. But, using them responsibly helps you attain great credit scores. If you’re making payments on a student loan or a car payment, make your regular payments on time. Do not try to pay it off early! That won’t increase your credit scores. However, if you make the regular payments on time, then you’re proving that you have the ability to fulfill a financial commitment. If you have a stagnant credit card with a zero balance, make a small purchase and pay it off quickly. Or, use the old card to make automatic payments on a regular monthly expense, such as a utility bill. This doesn’t change your monthly budget, it only changes who you’re paying the money to. This can raise the Credit History portion of your scores, based on how long you’ve had the credit card! Last, but definitely not least, go through your credit reports carefully (you should have one each from Experian, Equifax and TransUnion) and look for errors. • Make sure the items listed on your card are yours. If you find charges you didn’t make, you may be a victim of identity theft, or someone else’s data is being reported to the wrong file. • Make sure “on time” payments are not listed as “late”. • Make sure any collections that you’ve paid off have been removed. • Make sure all creditors you are faithfully making payments to are being recorded. • Look for negative comments that are older than seven years. You can ask to have these removed. • Look for bankruptcies older than 10 years, or accounts associated with the bankruptcy that are still showing up. You can ask to have these removed. If there are errors on your reports, start taking action to remove those errors. We’ll talk more about that in my next credit score tip! As your trusted mortgage advisor, my team and I provide you with more than just a loan. It’s part of our continuing service to offer the following tips that may be of help when you’re looking to purchase a new house or refinance your home loan. As you choose the path that leads to the home of your dreams, you can take either a pleasant Sunday stroll in the park or a gut-wrenching tiptoe through a minefield. Here are the six most-important “don’ts” when you’re considering buying a new house. 1. Don’t go on a spending spree! Draining your savings or running up credit card debt to buy a new living room set, a big-screen TV, or a new car could make a difference in your interest rate and whether you even qualify for a mortgage. Avoid spending money until after the closing is completed, whether by credit or cash. Keep your debt down and as much money in your bank account as possible. Your lender will check bank and credit card account history. 2. Don’t change jobs. Unless it can’t be avoided through such things as drastic location changes, experts say it’s best not to change your employment picture until after closing. A worse move is to change from a salaried position to self-employment. Lending institutions like to see steady employment and generally insist that self-employers show a minimum of two years of successful income. 3. Don’t mess up your credit. Don’t try to improve your credit score without talking to a professional. For example, you may think you’re going to bump your score up a few notches by canceling credit cards. But, canceling the wrong ones for the wrong reasons can seriously damage your credit score. Credit experts say it’s important not to have too few or too many open credit accounts, and the best credit is old credit. Another possible pitfall is to transfer all your credit card balances to one card to get zero balances on the others. 4. Don’t pay off all your bills. Paying credit cards down to below 50 percent of the your credit limit is generally helpful to boosting your score. But, paying off all your debts is only wise if you still have enough cash remaining to make your down payment, closing costs and prepays. In other words, don’t deplete your savings to pay off your credit cards. 5. Don’t think about lying. Lenders want to know how much cash you have to put into the house — truthfully. If you’re borrowing the money for a down payment and have to pay it back, it will have an effect on your ability to meet all your obligations. If it’s a gift and doesn’t have to be paid back, that’s fine. Whatever you do, don’t borrow it from your uncle and tell the mortgage banker it’s yours! The bank may ask you to document how long you’ve had the money or where you got it from. A lie could backfire and ruin the whole deal. 6. Don’t do any spring-cleaning. Don’t throw out bills, bank statements or tax returns. However, it’s a great idea to organize all the important papers that may be requested by a lender. Such documents may include W-2s, 1099 income statements, recent pay stubs and tax returns for the past couple years if you’re self-employed. While you’re at it, round up your prior title insurance policy, any canceled checks, settlement statements, or other forms of proof that you paid collections or disputed accounts. Most people don’t understand all of the many steps of the mortgage process. Even though we walk you through a lot of the process, you may find yourself stressed out and confused if you don’t do a little a little research yourself. Believe me– it’s understandable. Check out this article from The Morning Call about avoiding missteps during the mortgage process.